We're in the business of keeping you covered! Your roof is a fundamental, durable element of the home that keeps cold air out and warm air in. Imagine a roof without a home – those 40 mph winter winds wouldn’t seem as timid. It makes us appreciate our roofs all that much more. Can you also picture what it would be like to have a home without a roof on rainy days? Believe it or not, in some countries, their homes have damaged roofs or no roof at all. Be thankful for that metal or cedar roof you have – the one you’ll gather underneath for your Thanksgiving treat. All health reasons aside, roofs also provide an aesthetic benefit by making your home look more beautiful. With so many styles, materials, and colors to choose from, you can spruce up your contemporary home or cap off your traditional home – and it makes all eyes turn. 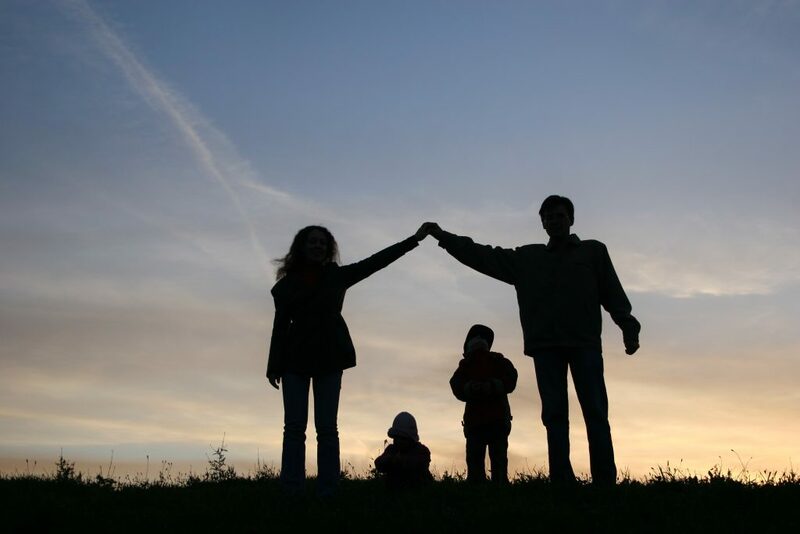 Your roof is the one home element that brings families together. The fact that roofs keep you comfortable means it’s one place where your friends and family can agree to meet for the holidays or for a weekend of fun. And what can be better than that? Roofs might have slight imperfections, but that doesn’t stop our appreciation for them. However, it is best that you take care of any slight issues before they worsen and cause irreplaceable damage. Whether you need a maintenance plan or just a last minute-repair, Landmark Exteriors has got you covered! To speak with on one of our professional staff members, give us a call at 203.838.3838. Does my house need new siding? 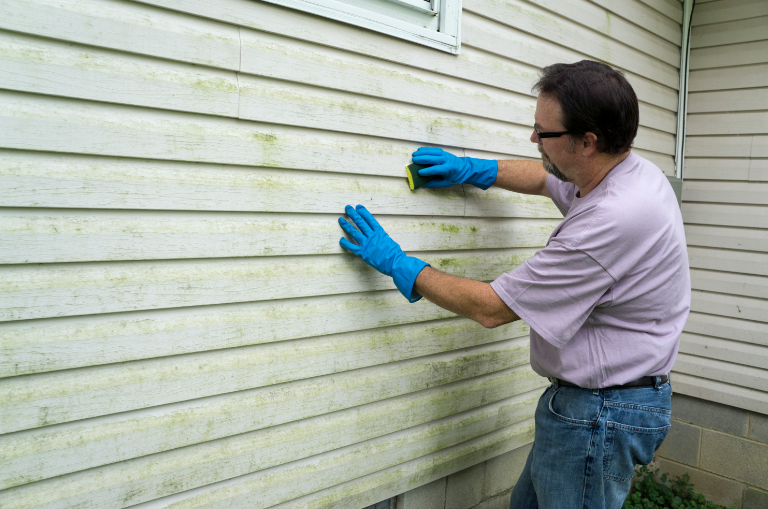 Siding that has begun to rot or crumble is not a sign of safety – it’s a sign that your siding cannot perform the role it was designed to do. In some cases, you could repair only the damaged area, but be prepared to redo the entire exterior. Holes and cracks are another sign that you might need new siding, though the situation always depends on other variables. While this could just be a repair for cosmetic purposes, it could also be something more. For example, gaps in the siding could lead to moisture, your home’s worst enemy. Is the time and energy you put into repairs and cleaning costing you more than it would to replace your siding all together? Consider upgrading to a new, low-maintenance siding to save yourself hassle and money. You might not be able to see the signs on your home’s exterior, but it will show on your monthly electric bill. If you feel drafts near the walls and windows, or around electrical receptacles, you might need extra insulation or new siding to make a significant difference. Planning to put your home on the market? Consider replacing your current siding to boost the resale value of your home. One that provides good insulation, stellar aesthetics, and a limited lifetime warranty are all elements to think about before making your decision. Whether you need siding repairs or replacement, Landmark Exteriors is here to help! To speak with on one of our professional staff members, give us a call at 203.838.3838. Don’t wait until the first freezing day of the year! Change your furnace filter now – something that should habitually be done at least once a season. If yours is non-disposable, remove, clean, and put back into place. Your heat will work much more efficiently. Turning off the sprinklers and draining excess water from your outdoor pipes will ensure they don’t freeze up and burst, which also keeps your indoor plumbing safe. Drafts can occur, especially when your weatherstripping is old. Go along the windows and doors in your home and use your hand or a tealight candle to detect cool air coming through. Solve the problem by replacing the weatherstripping – you won’t lose all the heat you pay for. Be ready for snowy weather – place shovels close to the backdoor so that you don’t have to trek through the snow to get to your shed or garage. Before the weather gets worse, take care of any damage from the summer now. 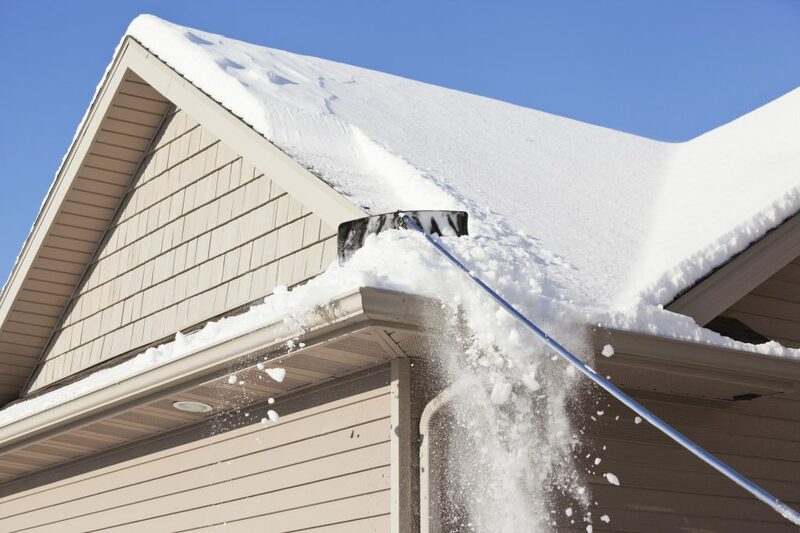 If you have a leak, the snow will only make matters worse. If the granules on your roof are missing, replace your shingles before the harsh weather does more damage. Taking these steps are necessary to prepping your home and keeping your family safe during the brutal winter ahead. At Landmark Exteriors, we offer preventative maintenance plans to help you winterize your roof and avoid costly repairs down the road. When you sign up for a Home Care service, it saves you the hassle of remembering to pick up the phone and schedule your follow-up. Our knowledgeable staff is here to answer your questions and set up a schedule for your specific needs. Whether you need a maintenance plan or just a last minute-repair, we’ve got you covered! To speak with on one of our professional staff members, give us a call at 203.838.3838. Author adminPosted on November 15, 2016 Categories gutter installation fairfield county, Roofing Companies Fairfield CountyTags home care fairfield county, winterize roofLeave a comment on Is Your Home Ready for Winter? Be cautious if you have a flat roof or skylight, as water can easily accumulate if your drains aren’t working. And when condensation on the inside can’t escape your skylight, it could leak. This is why it is so important to remove the snow carefully once the weather calms down. Once snow turns to ice, it’s almost impossible to remove without causing damage. Make sure you remove the snow before it freezes up. This will prevent a likely need for gutter repair. 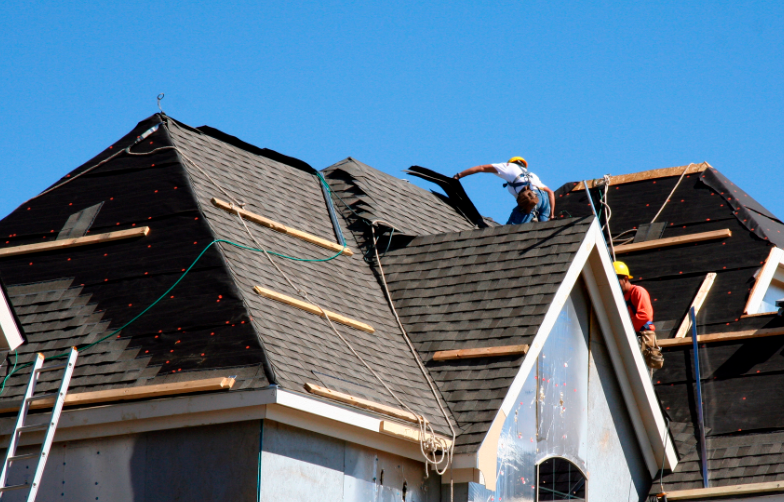 Your roof is strong – sturdy enough to withstand heavy rainfalls and winds. But one thing it cannot do is bear the weight of inches and inches of snowfall. Of course, every roof is different, but do you want to take the risk? 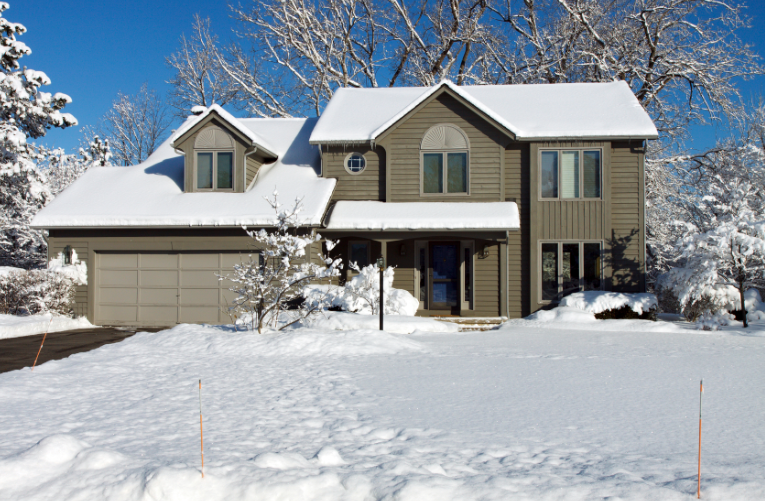 Find out how much snow you roof can handle to make the best judgement for your home. What it all comes down to is knowing what your roof can handle and what it cannot. To help you eliminate the odds of leaks and structural damage this winter, turn to Landmark Exteriors for our Home Care services. Our services include roof inspection and repair, gutter repair, snow guard installation, and ice damming – everything you need to keep your roof in excellent condition. To learn more, give us a call at 203.838.3838 or visit us on the web. Keep safe. Safety comes above everything else, especially when working on your roof. Be sure to wear shoes with good grip and protective gloves. When using a ladder, be sure to have someone spot you and hold the ladder at the base. Take your time and do not do any work if you are feeling under the weather or tired. Choose quality material. When installing a new roof, you need to choose the right material. We recommend selecting a material of high quality – one that might cost you more money upfront, but will cost you less in repairs and to repair it in only a matter of 5 to 10 years. Some roofing materials have a 25 or 50 year warranty or even lifetime. The decision is yours to make, but consider the cost to repair first. Keep gutters clear. You hear it all the time – fall is a great time to clear your gutters. But do you know why we even clean out gutters? It’s because we need to keep them free of leaves and debris so that melted ice can drain properly in winter. Be sure to check your downspouts too, which should be tilted away from your home and basement. Ask about insurance. Check your homeowners insurance be make sure leaks and damage are covered. Roofs are a major investment, and you’ll need your policy to cover it. You also want to make sure your roofing contractor is insured (ask to see a license too while asking these kinds of questions). Sign up for home care services. A home care service can keep your home (especially your roof) in great shape. Ask your roofing contractor about it and how you can sign up for routine maintenance as well as emergency repairs. If you need professional help taking care of your roof, Landmark Exteriors can help! We do everything from the installation process to the home care service. Our experienced and well-trained and licensed professionals are experts at installing and are ready to help! To speak with our professional staff about a new siding, give us a call at 203.838.3838 or visit us on the web.